Fermoy (Adair) School – the Church of Ireland National school in the town – celebrated a very special milestone on 27th June 2014. Emily Lenahan, daughter of Bronwyn left the school having completed sixth class. Emily is the granddaughter of Mrs Hazel Baylor, who was past-principal of the school. Emily’s leaving sees the end of 59 years of the Baylor family’s association with the school. Representatives of three generations of the Baylor family – 59 years’ involvement in Fermoy (Adair) Church of Ireland National School. Emily’s great-grandparents were pupils in the school, and her grandmother, Hazel Baylor was Principal Teacher at Adair from 1955-2000. Emily’s siblings and cousins also attended the school, as did her mother, aunt, and uncle – Canon Nigel Baylor, Rector of Jordanstown, Belfast. The school was hosted for the day at Fermoy Presbyterian Church, thanks to the Reverend William Montgomery. 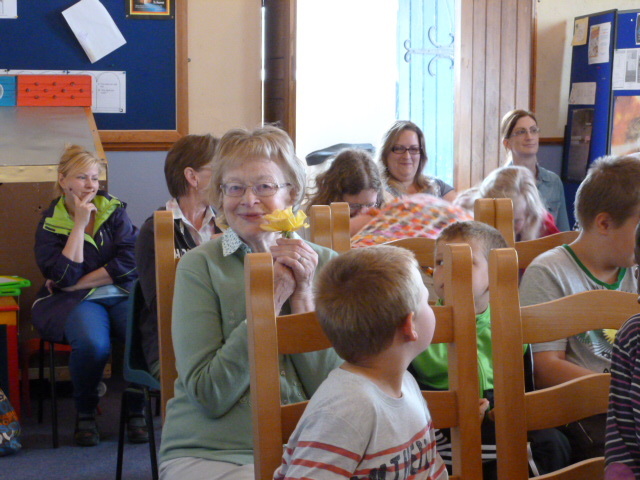 The pupils sang songs with gusto, accompanied by some members of the Senior Room on guitars and tin whistles. 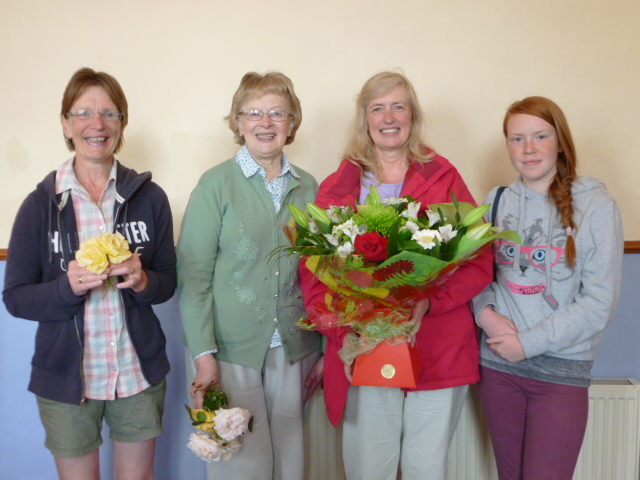 At the end of the Service, which was conducted by the Reverend Eileen Cremin, Mrs Heather Smith (the school principal) presented beautiful roses to Emily, Bronwyn, Jennifer (Emily’s aunt) and Mrs Baylor. Mrs Hazel Baylor (Principal of Fermoy [Adair] National School from 1955 to 2000) spends a final family day back at school. This entry was posted in Diocese, Education, People from the Diocese, Schools in the Diocese. Bookmark the permalink.